The rapid rise in US Treasury yields has led to concerns about the fundamental outlook for emerging markets (EM). In particular, investors fear that higher risk-free yields will translate into unsustainably high borrowing costs for EM companies. While analysts from Julius Baer acknowledge the headwind for the developing world, they also believe that perception is generally more negative than reality. We note that the difference between the average coupon and the average yield in EM hard-currency corporate debt is only around 50 basis points, as shown in the chart. In other words, if all EM corporate debt were refinanced at current yields, the interest expense burden would be only slightly higher. Furthermore, the average maturity of that debt is approximately 6.7 years, which means that rising yields do not feed through company fundamentals immediately but gradually as debt comes due. Companies have time to adapt to and plan for higher costs. While experts do not see significantly higher borrowing costs across the entire emerging world, a few exceptions stand out. 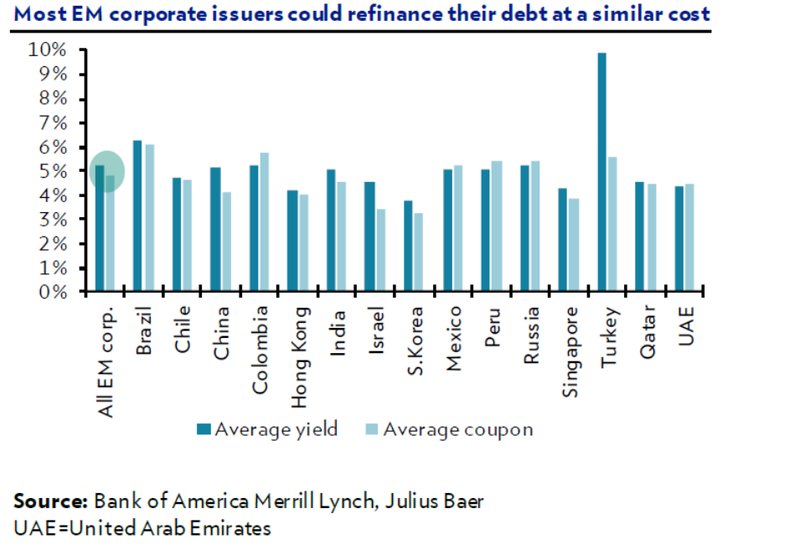 For example, Chinese and Turkish corporate debt seem to have particularly suffered from rising yields. This has not yet resulted in major stress in the respective corporate sectors, but the situation deserves close monitoring, in particular in the high-yield space. To summarise, they think that the rising refinancing cost is not as problematic for emerging market fundamentals as perceived by investors. 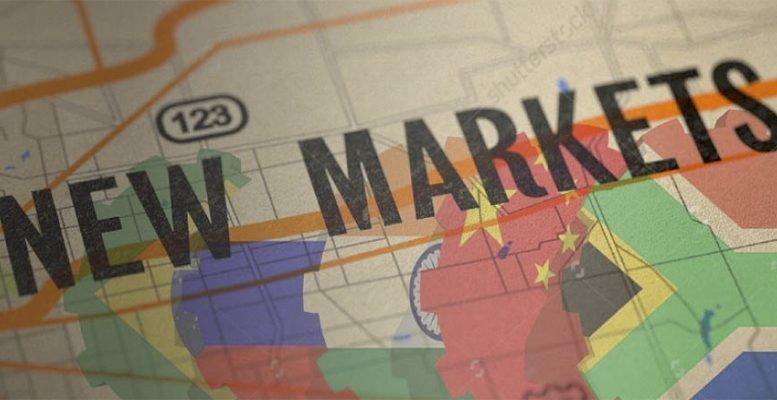 Emerging Markets: Good-Bye Crisis, Hello Bubble?